We had a couple of amazing string sessions with the fabulous Rita Ora last week at RAK. Working closely with Producer Andrew Watt, we recorded two glorious tracks for Rita’s new album. Strings Arranged by Rosie Danvers, Performed by Wired Strings, String session producer TommyD, Track producer Andrew Watt, Engineered by Robbie Nelson, Recorded at RAK Studios, London. September 2016. 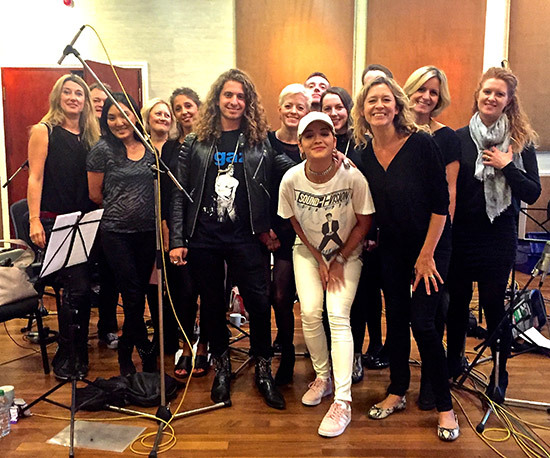 Photo: Wired Strings with Andrew Watt, Rita Ora and Rosie Danvers at RAK Studios, London. September 2016.